For teething purposes: Place Chamomile Flowers in a clean muslin tea bag. Boil a pot of water. Take off heat and place the bag of herbs into the pot, cover and let steep for 10-15 minutes. Remove from the pot, carefully form into a flat-ish shape suitable as a teether, and freeze. 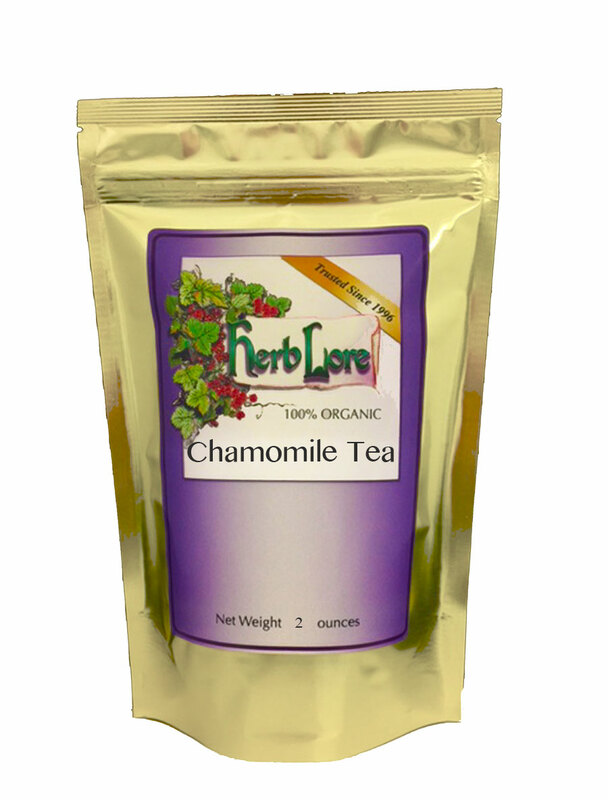 Let baby chew on the frozen bag of Chamomile, which will help alleviate pain and soothe sore gums. (Make sure the bag is securely closed.) Mom and dad can drink the tea to help soothe frayed parental nerves! The cooled tea can also be given to babies over 6 months of age, if desired.